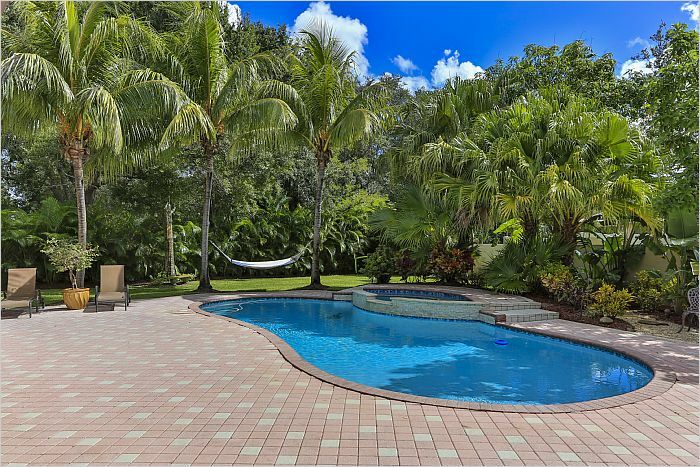 Designer owned and decorated courtyard home with ultimate high-end finishes and huge pool area that boasts a 5/3.5 detached guest suite off of pool in highly sought after affluent neighborhood of Tall Pines. Home resides adjacent to the Parkland Equestrian center, is a short walking distance to the fall farmers market and is a perfect community to celebrate holidays in and raise your children with friendly neighbors and well-kept homes. 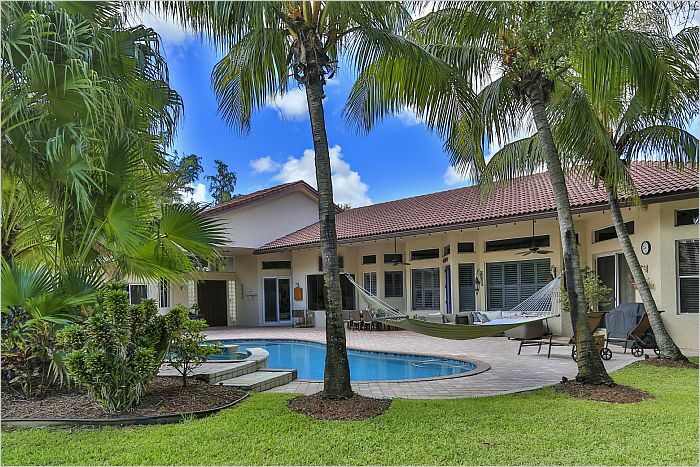 This home features 4 bedrooms and 2.5 baths in the main house and a 1 bedroom 1 bath detached suite poolside. All bedrooms offer real-wood espresso colored flooring and are in excellent condition. Master and guest bathrooms offer extensive use of ivory marble and onyx. 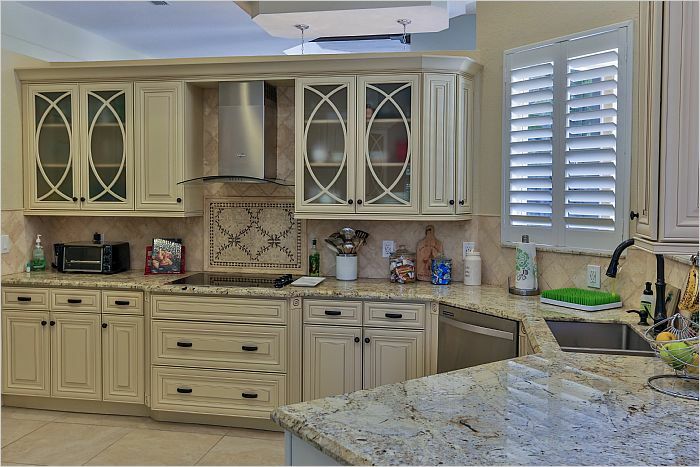 Outstanding chef's kitchen with vanilla glazed custom cabinetry and frosted glass door accents. 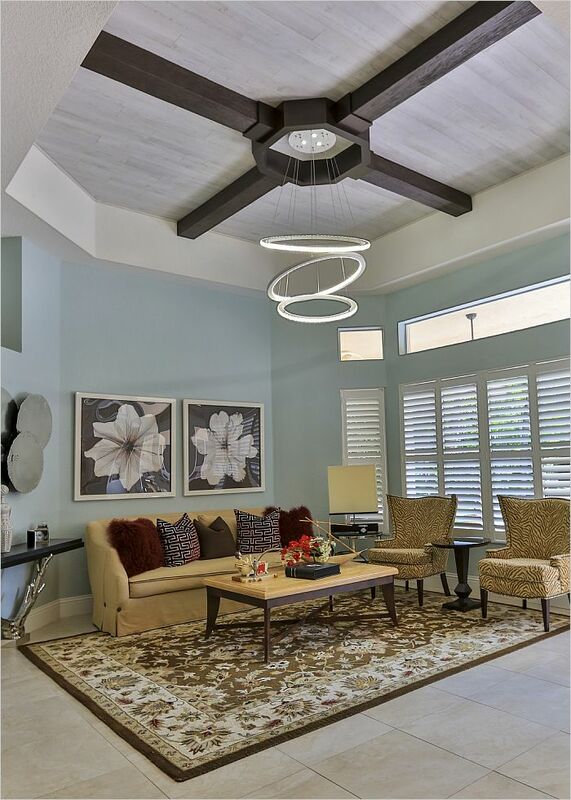 Spectacular formal living room shows off high end finishes with recessed real-wood coffered ceiling and beams, with gorgeous walk up custom wood bar, glass beverage center, undermount accent lighting and pearl mosaic backsplash. 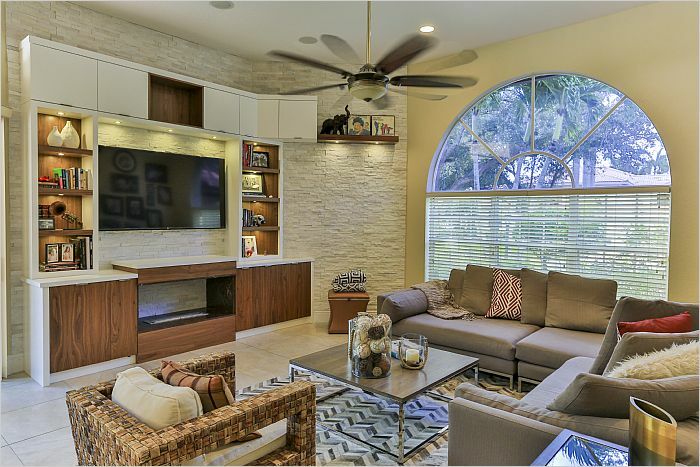 Custom entertainment family room built-in with easy to light, smoke-free bioethanol fireplace offers 2 color wood features and glacier white ledger stone inlay. House has audio-visual prewiring for outdoor TV and speakers from entertainment center to courtyard making for perfect parties and barbecues. 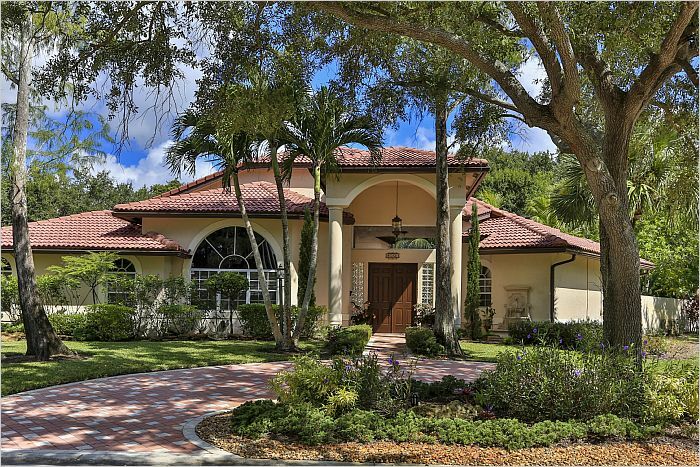 This elegant home offers 2 large driveways with a circular paver driveway for front courtyard access and a second larger paver driveway for garage parking all surrounded by lush landscaping, including 6 types of fruit trees offering abundant succulent fruits during season. 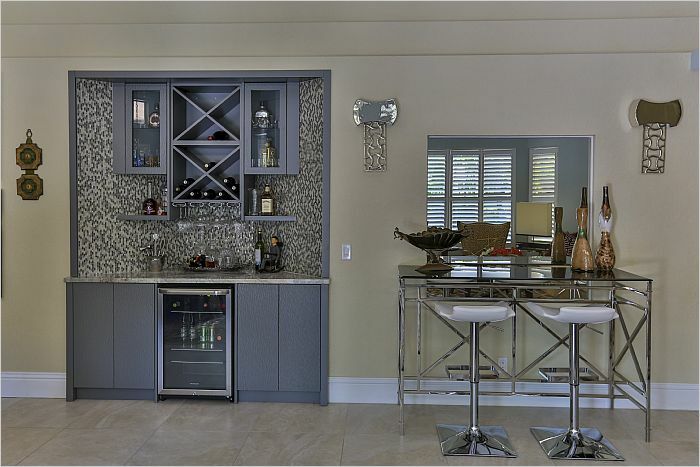 Designed by high end interior designer showcased in Architectural Digest and Florida Decor magazines. A simply must see home!